It's been a big year for the book blog. I began this blog in early 2014 as an outlet for my book reviews. During this past year I watched as this blog increased in size, and surpassed my "primary blog", Ting's Mom. As I have been planning the upcoming year for my blogs, I have realized that this book blog is now my primary blog. Yes, I will continue to post on my family site but Ting's Mom Books will have the focus of my attention in 2016. So how did I get here? How about a look at the accomplishments for the year. FIRST and Foremost - I read the ENTIRE Bible this year!! This has been a goal of mine for several years and I always give up. This time I stuck with it, and I so completely blessed by my accomplishment. I crave to learn more about the Bible and I'm looking for some options for specific subject and book studies in the coming year. If you have any suggestions, I'd to hear them. According to Goodreads, I read 91 books this year. However, I only log my fiction reads on Goodreads. In the coming year, I will log each and every book so I can keep a better track of what I am reading. The blog contained fiction and non-fiction books, plus the addition of Wee Read Wednesdays toward the end of the year. The total posts from the year ended at 123. Wow! So where are we going in 2016? Come back early in the year as I tell you about some exciting plans I have for the book blog. In the meantime, Happy New Year, and Happy Reading! 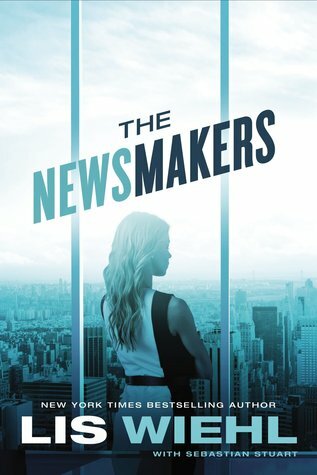 Television reporter Erica Sparks has just landed her dream job at Global News Network. Beautiful, talented, and ambitious, Erica grew up dirt poor, worked her way through Yale, and is carrying a terrible secret. She moves to Manhattan to join GNN, leaving Jenny, her adored 7-year-old daughter, in the custody of her ex-husband. Erica’s producer at the network, Greg Underwood, is handsome and compelling. Scarred by her divorce, Erica is wary of romance, but there’s no denying the mutual attraction. On one of her first assignments, Erica witnesses a horrific Staten Island ferry crash. Then she lands a coveted interview with presumptive presidential nominee Kay Barrish. During the interview Barrish collapses. Erica valiantly tries to save her with CPR. The footage rivets the world—GNN’s ratings soar and Erica is now a household name. But she’s troubled. What a strange coincidence that both events should happen on her watch. It’s almost as if they were engineered. Is that possible? Erica’s relentless pursuit of the truth puts her life and that of her daughter in danger. Her investigation leads her into the heart of darkness—where the future of our democracy is at stake. This was a fun, no-frills read for me. The story seemed a little unbelievable, but I feel like that contributed to the entertainment factor of the plot. GNN is becoming the largest and most powerful news distributor in the country. Erica believes she has landed the job of a lifetime when she is hired on as the newest field reporter. It does not take long, though, for her to realize that the place she is working is holding some deep dark secrets. First she lands a top story when she is on scene for a ferry crash. Then she is interviewing a presidential candidate on live television when the candidate dies from poisoning. Suddenly Erica finds herself more investigator than reporter. And the more she uncovers the more harm seems to come to those around her. Like I said earlier, this story lacked believability, but I thought it was very entertaining. I appreciated the twists and turns to keep the story moving, and the characters’ abilities to provide entertainment with every move. I though the book moved along at a nice pace and was a fairly easy read. If you are looking for a light and entertaining read, definitely check this one out. While I do not find myself madly in love with this book, I don’t really have any real complaints. It was just an okay story for me. I enjoyed getting to know the characters that we met through this book. Miranda is one of those women who has lived her entire life within the rules of society. She does as she is told and is not allowed to think for herself. However, when she accompanies her grandfather to Missouri for a business trip, we get to see an entirely new personality come through. I love the woman that Miranda became during the trip. She is willing to stand up for herself and make decisions that are for the betterment of her family. She seems to become an independent woman and I truly enjoy her character. Her only weakness is Wyatt. Wyatt is a good-ole country boy who works hard to make an honest living. I liked him from the very beginning and found myself wishing for the best outcome possible for his life. It is apparent he has made a name for himself in his small community and the people there trust him completely. That fact made me like him even more. This book had a great story line, but I felt that it stalled many times. I felt there were filler events and details to stretch the book out. Many of these events felt unnecessary and a little confusing to the story. Once Miranda arrived back in Boston, it felt even more stretched out. Finally, in the last few pages the story moves back along and we get to see an ending for these characters. An ending I like, by the way. 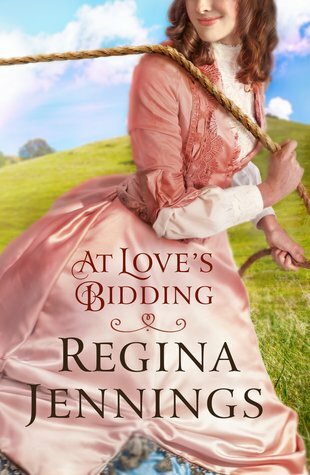 I typically enjoy stories from Regina Jennings and I still liked the overall story in this book. I just did not fall in love with it. Today for Wee Read Tuesday I'm bringing you a kids' devotional that also has an adult version! For such a small book, Grace for the Moment© has had a major impact on countless lives. With more than 2,500,000 copies sold, this devotional continues to touch lives as it emphasizes the help and hope of God in everyday moments. Each daily reading features devotional writings from Max Lucado's numerous bestsellers as well as a Scripture verse selected especially for that day's reading. This new classic is available in hardcover as well as in both green and burgundy eurobond leather. Daily devotions are one of those things that I always want to implement, but always fall short. I think one of the reasons I never follow through is I want to include my kids but it’s hard to find something I can do with my kids that is meaningful for all of us. This devotion set is the answer! Devotions do not have to be long to be meaningful, and the adult version of this set is proof of that. A small book that can fit into your purse features a new devotion on each page. A verse and two or three short paragraphs is all it takes. The devotions are meaningful and powerful, and just right to get your day started. And I love, love, love the kids version of this book. The verse that is featured in the adult devotion is the same verse that is featured for that day in the kid version. The devotions are written specific to kids and the trials they face each day. Again, there is one devotion per page with only a few paragraphs. At the end of each page, the kid version features a ‘Growing for Grace’ illustration that helps kids use every day events to imagine the story being told. For example: next time you are at the lake, picture Peter in the boat. I am very excited to implement these new devotions into our family routine beginning January 1. They are going to be the perfect addition to our day. Lydia’s job at the library is her world—until a mysterious patron catches her eye . . . and perhaps her heart. This book simply did not do anything for me. It has received some great reviews from many readers, but it was not for me. I felt the characters were not very well developed. I had a very hard time connecting with any of them, as it seemed their actions constantly went against the character they were supposed to be. I felt their thoughts were not portrayed through their actions, and many of the character development was rushed. I felt the story line jumped around a little too much, but did not take the time to fully develop any of the scenes enough for me to get involved in them. It seemed we would be reading about something one paragraph, and then on to something very different the next. I realize this is a book in the middle of a series, so perhaps I would have enjoyed this one more if I had read the previous books in the series. Please search around and see what others have to say because many people love this book. Just not me. Since 2000, Shelley has sold over forty novels to numerous publishers, including HarperCollins, Harlequin, and Abingdon Press. She has been interviewed by NPR, and her books have been highlighted in numerous publications, including USA Today and The Wall Street Journal. Under the name Shelley Shepard Gray, Shelley writes Amish romances for HarperCollins’ inspirational line, Avon Inspire. Her recent novel, The Protector, the final book in her “Families of Honor” series, hit the New York Times List, and her previous novel in the same series, The Survivor, appeared on the USA Today bestseller list. 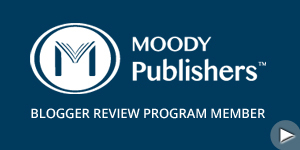 Shelley has won the prestigious Holt Medallion for her books, Forgiven and Grace, and her novels have been chosen as Alternate Selections for the Doubleday/Literary Guild Book Club. 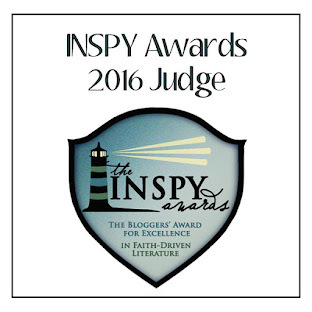 Her first novel with Avon Inspire,Hidden, was an Inspirational Reader’s Choice finalist. 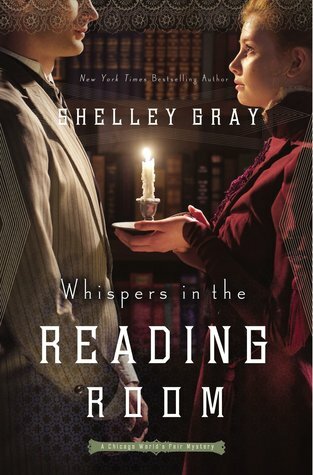 Shelley also writes historical, western inspirational romances for Abingdon Press as Shelley Gray. Her first novel with Abingdon, A Texan’s Promise, was released in October 2011 and has earned glowing reviews. In addition to her writing as Shelley Shepard Gray, Shelley has written a dozen novels for Harlequin American Romance under the pseudonym Shelley Galloway. Her first novel with Harlequin, Cinderella Christmas, reached number six on the Waldenbooks Bestseller list, and her second book for the American Romance line, Simple Gifts, won RT Magazine’s Reviewer’s Choice Award for Best Harlequin American Romance of 2006. Shelley is a member of RWA’s Published Author chapter, ACFW, and the Faith Hope and Love Chapter of RWA. Please visit www.shelleyshepardgray.com to learn more about Shelley and her books. Finella Mayfield hates two things: liars and thieves. And she’s determined to marry a man who’s neither. Chasing her dead father’s dreams, the twenty-year-old English bride arrives in Australia in 1875 for an arranged marriage. Anticipating her future as village preacher’s wife, she records her thoughts in her Everlasting journal. But instead of her fiancé, Finella is met by Shadrach Jones, a poor farmer sent to collect her from the busy Melbourne pier. This is not what her father planned. And it’s only the beginning of the unraveling of Finella Mayfield ~ the bride with no groom. All Shadrach Jones longs for is rows of mustard and chicory. He’s busy growing a farm near the Phillip Island fishing village of Cowes, and caring for Molly, his simple sister. Far from the brutal life they remember with their ex-convict father, Shadrach’s building something new. But he’s also made a promise to a dying friend. To collect and marry the English girl destined to never be a preacher’s wife. Can Shadrach convince Finella she has a future with a farmer? Can he convince himself, knowing his family secrets will haunt their future? 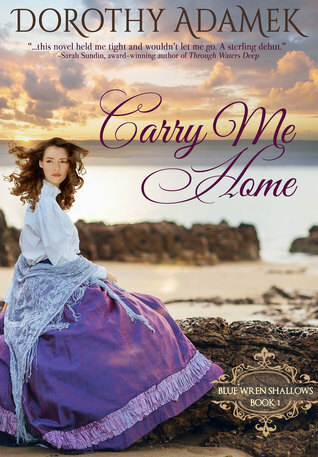 Carry Me Home ~ Book 1 in the Blue Wren Shallows series. An Australian historical romance set in the pioneering era of the 1870s, on Victoria’s majestic Phillip Island. This debut novel from Dorothy Adamek left me with all kinds of emotions. I laughed, smiled, cried and worried – all with some amazing characters that I had the privilege of meeting through this book. When we first meet Finella, I have to admit I was not her biggest fan. Headed with her father to Cowes to marry her intended, she seems very high-class and a little snooty to me. But once she arrives to her new home and discovers her groom has passed away, she becomes someone that I fall in love with. Determined to figure out her new life, I see that she becomes a strong and independent woman – something that is not typical of women in the late 1800s. Throughout this story, we get to see Finella completely change as a person and I absolutely love the character we are left with at the end of this story. Shadrach is one honorable man and my heart went out to him the minute we met him. He is a dear friend to the preacher and makes a promise knowing it is going to be difficult to keep. But he is a man who keeps his promises and he spends this entire book trying to fulfill that commitment. He is also a man who will do anything and everything to care for his sister, Molly. Molly is a child stuck in a teenager’s body and it is obvious that Shadrach is in over his head trying to care for her. But Shadrach is determined and that is a quality that I completely love about him. As this story goes on, we see Finella and Shadrach form a relationship that will win your heart. But you also know it’s too good to be true. Sure enough, trials and obstacles suddenly hit them from every angle and I found myself crying with these characters as their hearts broke so completely. As this book comes to a sweet end, Adamek sets these characters up for a highly anticipated book two in this series. I totally and completely loved this book and I cannot wait to see what the next installment has in store for these characters and this community. Australian author, Dorothy Adamek, writes Displacement Fiction ~ the stories of people upended by tragedy and trauma, and their struggle to belong in their new world. Couched in romance, her fiction is set in the late Victorian era. She is the author of Carry Me Home, the first book in the Blue Wren Shallows trilogy, and resides with her family in the world’s most liveable city, Melbourne. So where did Christmas stockings get started? 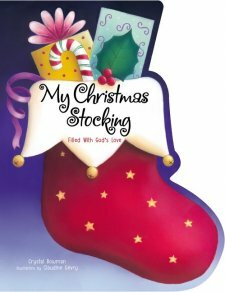 I have no idea, but this is such a fun story for your little ones to tell about their Christmas stocking. Stockings are one of my favorite parts of Christmas morning. We always put fun things like fingernail polish, bath soaps, fun socks and such into the stockings. Our kids also love to pick up little goodies and slip them into our stockings when they think we are not looking. But I’ve never actually considered where the stocking tradition may have started. In this sweet little book, the stocking tradition is attributed back to Saint Nicholas. It tells that he wanted to do something nice for people to remind them that God loves them. Sometimes he would leave presents out in the open. But other times he would hid them deep into their socks! With easy to read rhyming sentences, this story is a lot of fun for kids to read and to listen. The illustrations are very simple and eye-catching, and something that my kids really enjoy. I also love the stocking shape of this sturdy board book. This would make a great pre-Christmas gift for the young child in your life.